Who can become an Engineering Technician? To find out whether you can register as an Engineering Technician, click here for the Engineering Council’s Specification booklet (UK-SPEC). Consider the standards required for registration as an Engineering Technician by reading the relevant section within the UK-SPEC booklet and decide whether these apply to you (you should discuss this with your line manager or another registered engineer). If you are ready to apply, download an application form and applicant’s short guide and follow the process outlined in the guide. All candidates for registration as an Engineering Technician must be members of a professional body such as the Institute of Water. Click here to find out more about Institute of Water membership. Alison has 22 years’ experience in the water industry and has an HNC in Civil and Construction Engineering. 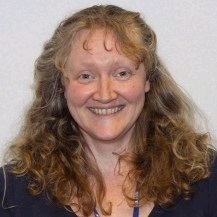 Alison also has a BSc (Hones) in Water Resources. Alison decided to apply for Registration as an Engineering Technician, in order to give professional recognition of her academic qualifications and experience.